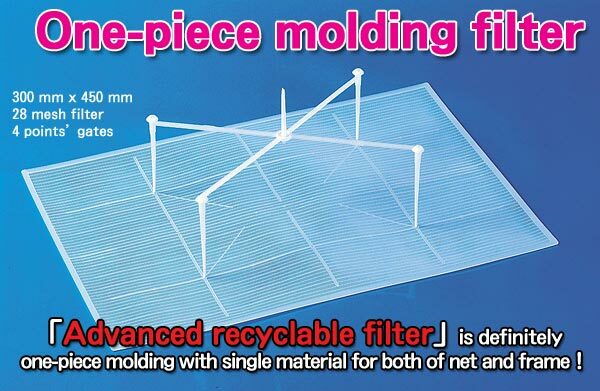 One-piece molding of frame and net : single material forms frame and net for recyclable use. 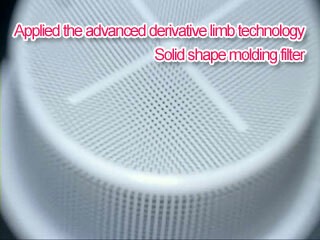 Minute mesh molding : 100 mesh (thread and hole each width 0.13mm) available by precision molding. 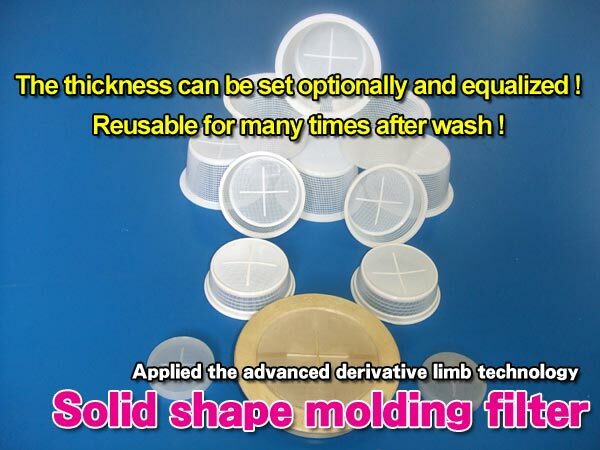 Easy to clean : Easy removal of fiber dust, hair from filter. Antibacillus, antimold processing : antibacillus, antimold prosessing available. 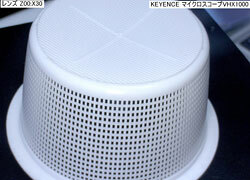 Drainage filter for gutter, etc. Copyright © DAISAN Corporation All Rights Reserved.